This is a step by step Recipe for preparing tasty and delicious Peas Spring Rolls or Mutar Ke Spring Rolls in Hindi. A very popular starters dish in restautants; why not try it out at home. Make a thin batter adding Maida, Egg, Corn flour and Salt. Heat the pan add in little Oil and make Pancakes. 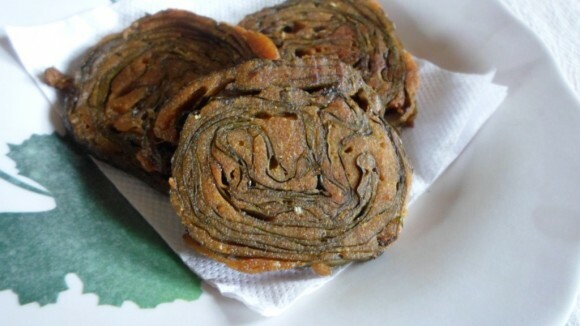 Take 1 Tea spoon Oil frying the spring Onion, Cabbage grated Carrots and Peas for some time then add Soya sauce, Salt and pepper according to take and Ajinomoto when the Pancakes cool add this filling and seal the sides after rolling with little Maida batter on both sides. Before serving the rolls fry them again on both sides till brown and crisp, Serve hot with Chilly Sauce or Tomato Sauce.